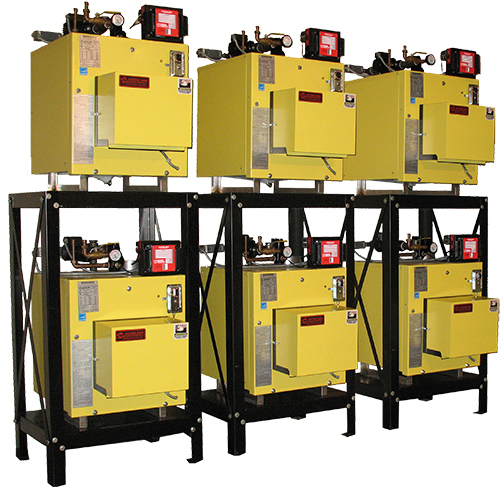 A heavy cast iron boiler takes a lot of energy just to heat the boiler itself and when the burner shuts off, all that energy starts to slip away. Our low mass boiler heats fast and our Hybrid Energy Recovery® (thermal purge) captures energy at the end of the burn that is wasted in other systems. See how it works. 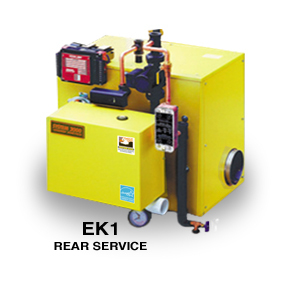 Hybrid Energy Recovery® Cycle makes sure that no heat is left wasted in the boiler and helps save fuel dollars. This cycle, combined with the low mass spiral boiler design, means high mass idle losses are essentially eliminated. Better efficiency and performance than “outdoor reset” systems. Matches energy usage to exact requirements of your home or building. Heavily insulated storage tank provides a ready supply of hot water. Advanced technology stainless steel heat exchanger captures full boiler output for domestic hot water – recognized worldwide for most effective and efficient heat transfer. Integrated design works seamlessly with the Digital Energy Manager to provide energy recovery and maximum efficiency. 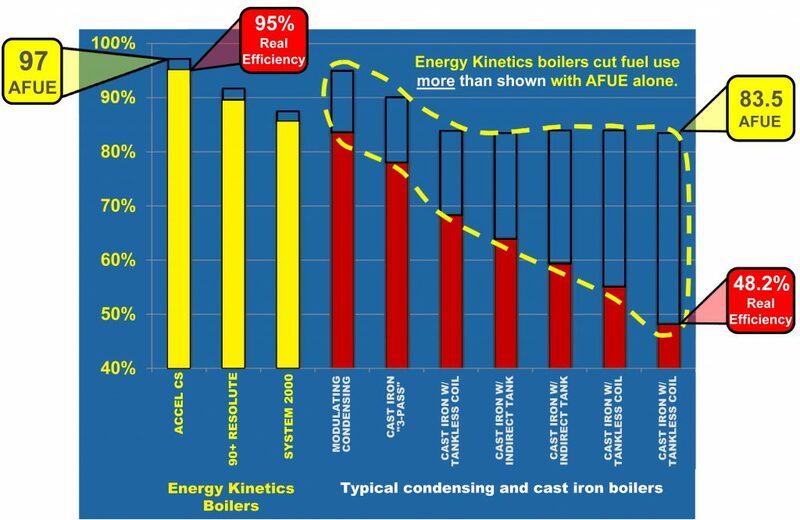 Low Mass design heats quickly and recovers energy at the end of the heating and hot water cycles, eliminating idle losses found in all other boilers. In other words, this unique boiler only runs when you need it. No pins, baffles, or “micro passages” to foul and reduce efficiency. 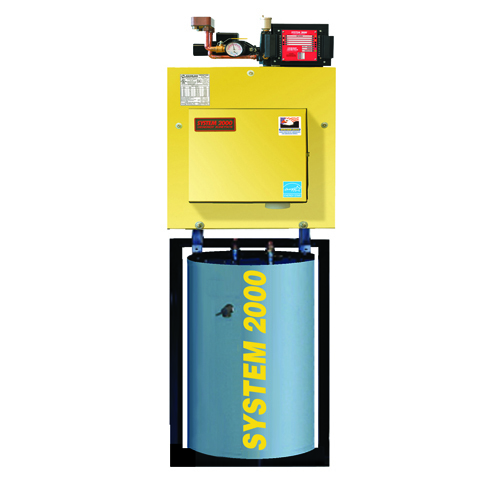 Specially formulated steel boiler is a gasketless one-piece construction designed to last the life of your home or building. Outside combustion air connection – eliminates drafts and doesn’t steal heated air from your home. 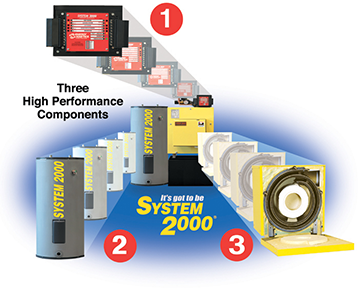 System 2000 can vent through a properly constructed chimney, or through a sidewall vent. Homeowners who plan to save money by converting from expensive electric heat often find themselves up against a brick wall: the high cost of chimney construction. 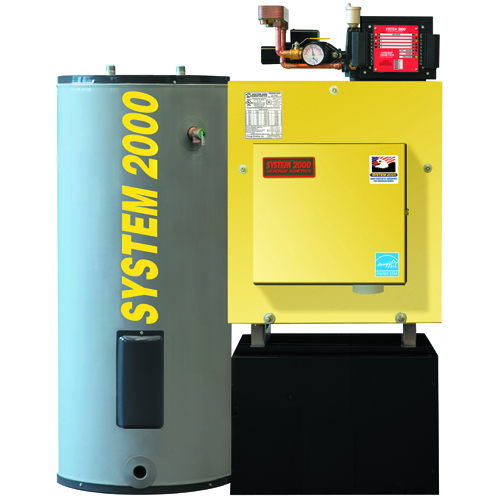 But with System 2000’s unique combustion chamber, combined with a 10 foot long flue passage, gases leave System 2000 clean, and relatively cool. So they can be vented directly through-the-wall. No chimney is needed! 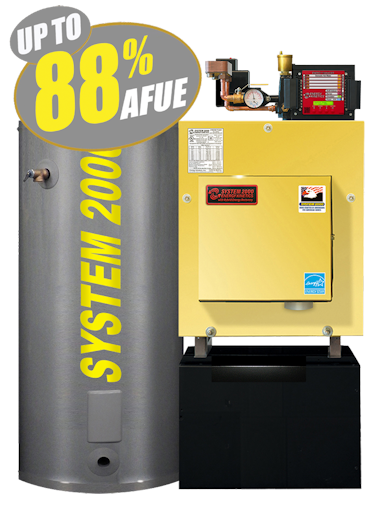 An excellent benefit for homeowners converting from electric heat, heat pumps or for new home construction. Power venting is the safest method of side wall venting and is a low cost alternative to chimney construction. Considering Sidewall Venting or a Chimney Liner? The next generation in sidewall and chimney venting is here today. Check out the 90+ Resolute.